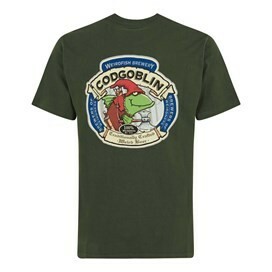 Be the first amongst your friends to wear our Cod Goblin T-Shirt and let everyone know how much you enjoy traditional craft-brewed beers. 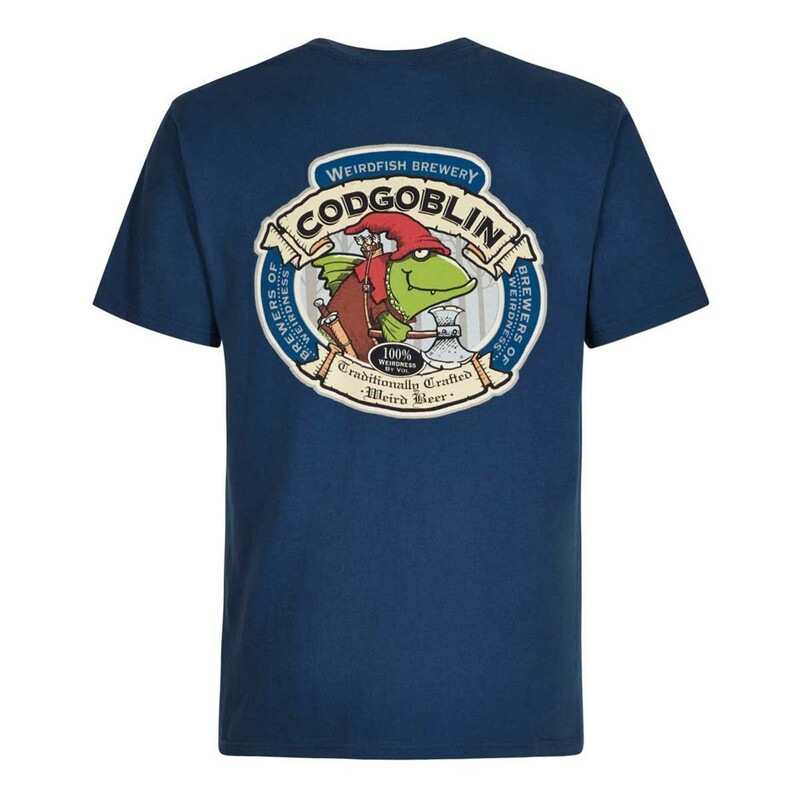 100% Weirdness by volume our Cod Goblin T-Shirt is the perfect companion to a pint of the real stuff along with sausages & mash, burgers and BBQs. 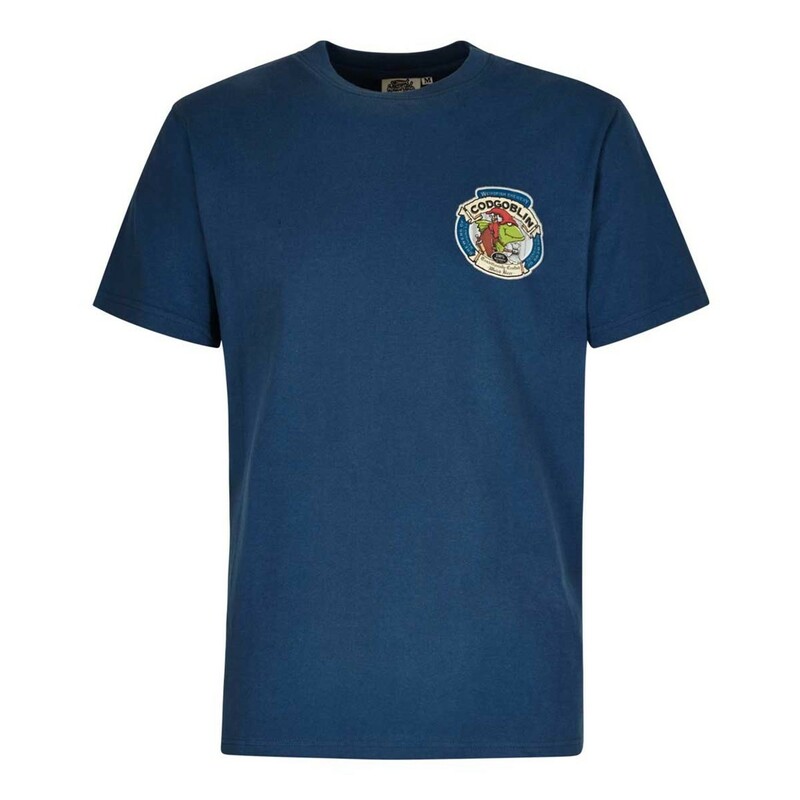 This exclusive design for Weird Fish is a limited edition cotton Artist T-Shirt, available in a variety of colours and featuring the ‘Cod Goblin’ print in large on the back with a smaller version on the chest. Our T-Shirts are now more slim fit so please check the size info before you order. Accurate sizing, nice colour and great artwork. 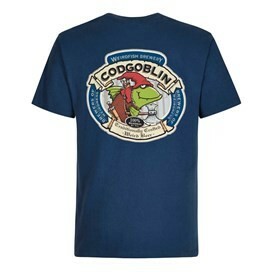 Excellent graphics and quality of print makes this shirt stand out from the crowd. This is one of many items that we own but the first we have orders on line as we have now moved abroad. The items were delivered as gifts to family members in the UK. Excellent service.